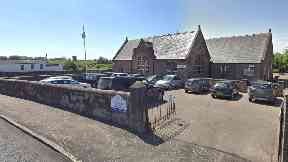 Campaigners fought against plans to close two primaries in Clackmannanshire. Two primary schools earmarked for closure by a struggling council have been saved by councillors. 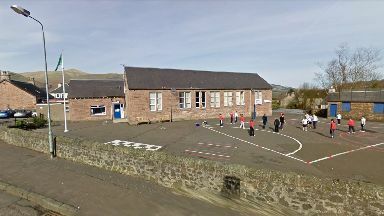 Last month, both Coalsnaughton and Fishcross primaries were included in Clackmannanshire Council's 2019/2020 council budget engagement in an effort to find up to £11m in savings. Local Labour councillors joined forces with parents, carers and villagers to campaign against the potential closures. Following a series of public meetings, the SNP council administration has now announced it will not be considering the cuts as part of the savings proposals. Councillor Graham Lindsay, education spokesperson for the SNP group, sent an email to parents on Sunday evening to confirm the news. He stated the council acknowledged how much the schools were "valued by the community", which was shown by the "passion and determination" of the campaigners. Clackmannanshire Council leader Ellen Forson said: "The reality is that while our overall budget from the Scottish Government has increased this year, cost pressures such as PPP schools payments, pay increases and pension commitments have increased at a higher rate. "Just like everyone's household budget, if your costs outstrip your outgoings, you need to make changes. "The budget announcement last week from the Scottish Government was one that we broadly welcome and will undoubtedly help us in continuing to provide key services and reducing the level of saving required. "I have welcomed the feedback in respect of the officers proposals to close Fishcross and Coalsnaughton primary schools. I would like to reaffirm that the SNP administration will not include the closure of these schools within our budget proposals." At a public meeting within Coalsnaughton Village Hall last month, Labour was the only group to oppose the proposals from the outset. Clackmannanshire's MSP, SNP depute leader Keith Brown, also spoke out against the plan. Councillors from both the SNP and Conservative parties stated they would make their decision once more information became available. At the meeting residents questioned whether the proposals would actually save the council money, and asked about the transport arrangements to get the children to another school. Resident Andrea Smith, who has lived in Coalsnaughton for over 60 years, told the panel it would be outrageous to make a child walk two miles in bad weather to get to school. She added: "It really, really hurts me to say that my village is dead if you do this." Mum-of-three Dawn Haddow, who currently sends two children to Coalsnaughton Primary and campaigned against the closures, welcomed the news that the schools would not be shut. She told STV News: "We are so happy that all our hard work has paid off and our school in the heart of the community will remain open for our children. "We would like to thank all the parents, the whole community, STV and the Alloa Advertiser for all getting behind us. "We'd also like to thank the MPs and MSPs for their support - it has been greatly appreciated." A spokesperson from Fishcross Parents Group added: "Fishcross parent council are ecstatic that SNP leader Ellen Forson has confirmed that the school closures will not be part of this year's budget proposal. "We would like to say a massive thank you to them for reconsidering the closure of our school. This is amazing news. "On behalf of the parent council we would also like to take this opportunity to say thank you to our local community and parents at the school - we couldn't have done it without their support." Now that the schools are off the table, the councillors will have to consult on the other officer savings options - which includes reducing the secondary school week from 27.5 to 25 hours, increasing Council Tax, and ending the council's contract with Alloa Leisure Bowl, which may lead to the closure of the sports centre. A spokeswoman from Clackmannanshire Council said: "The 2019/20 budget will be set when the full council meets in the coming weeks. "No decisions have been taken yet."